A second child has died following a shooting in a Northern Virginia apartment last week. Fairfax County Police said the child died early Saturday morning, nearly a week after the shooting. 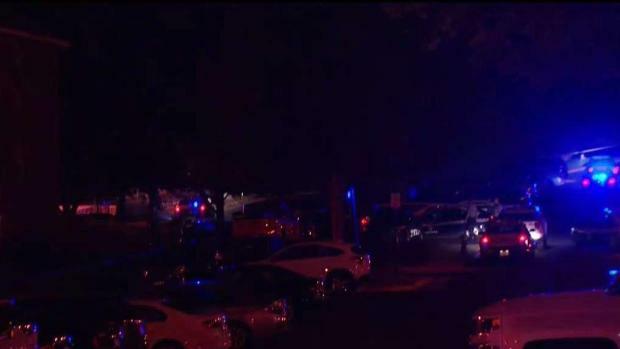 Veronica Youngblood, 33, is accused of shooting the two children inside an apartment in the 1500 block of Lincoln Circle in McLean, Virginia, on the night of Aug. 5. One of the children died at the scene, and the other suffered life-threatening injuries, police said in the wake of the shooting. Police have not identified the victims due to a Virginia law passed in 2017 that says they need written permission from the families of juveniles to release their names. Authorities have not commented on the relationship between Youngblood and the victims. But court documents reveal Youngblood has a 5-year-old daughter named Brooklynn Youngblood and an older daughter. A medical examiner confirmed to News4 last week that a Brooklynn Youngblood died of a gunshot wound to the head. Youngblood's ex-husband was retiring from the Navy, and under a court agreement, the entire family was relocating to Missouri so both parents could stay involved in the girls' lives. Her ex-husband agreed to pay Youngblood's rent and other expenses. But Youngblood recently moved into the new apartment in McLean after filing court papers saying she didn't want to go to Missouri and she'd found a new job here and wanted to get primary custody of the 5-year-old daughter. Sources familiar with the case told News4 that Youngblood purchased a Glock at a gun show in Northern Virginia in the weeks before the shootings. Police found three spent cartridges in the apartment, two in the master bedroom and one in the guest room, according to a search warrant for the apartment. Other cartridges were found in the guest bedroom, the master bedroom, on the living room floor and on the kitchen table. A Glock gun box was found in the guest bedroom. There were also two boxes of 9 mm cartridges and other Glock accessories, according the search warrant. There were blood stains in the apartment. Youngblood was arrested in Loudoun County on the night of the shooting after she knocked on the front door of an acquaintance and that person called police. A gun was recovered at the scene when Youngblood was arrested, police said. After her arrest, Youngblood waived her Miranda rights and confessed to the crime, police said, giving detectives a detailed account of what happened. Inside the rental car Youngblood used after leaving the apartment, police found two Glock magazines with ammunition and identification cards, another search warrant revealed. Youngblood is being held without bond, police said. A preliminary hearing is scheduled for Oct. 18. Police said Saturday that additional charges are anticipated against Youngblood as the investigation continues.